Street and graffiti art is an art form I have mixed feelings about. In recent years there has been a huge surge in popularity and attention to this medium, especially in my home of San Francisco. I respect the work Upper Playground has done to unify, brand and market street artist's work and the mural work 1 AM has done in The Tenderloin on Golden Gate is a beautiful addition to the blighted neighborhood. I think the amount of Juxtapose-esque cartoon graffiti artists and toys borders ad nauseum in the art world. 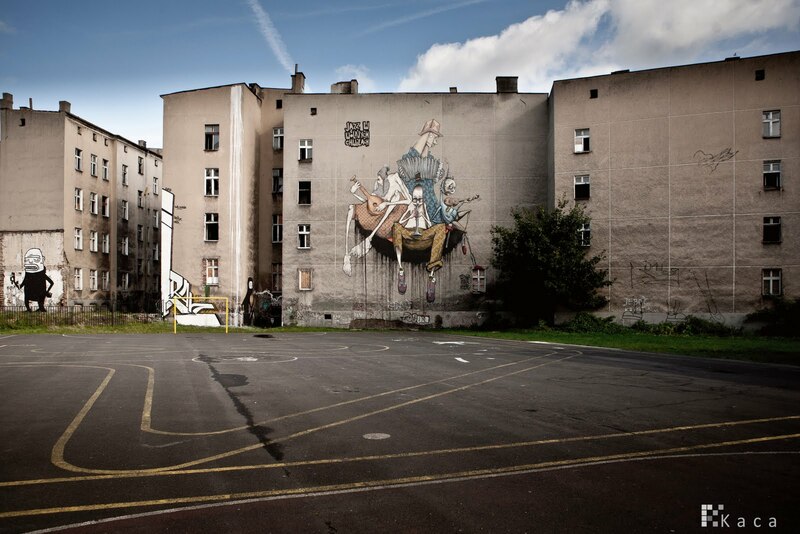 When I first saw Zupi.org's post on Polish Street Art I had my doubts about seeing anything new. 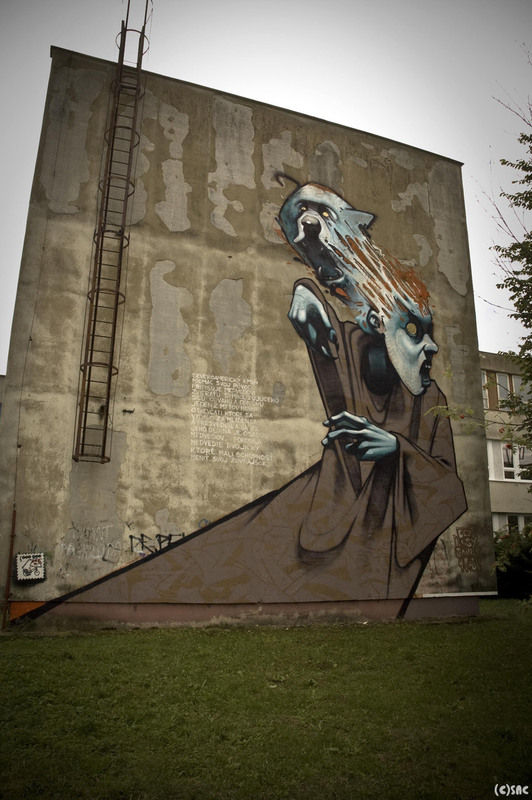 I was amazed when I saw the work of Blejzyk, who also works under the name Sainer. 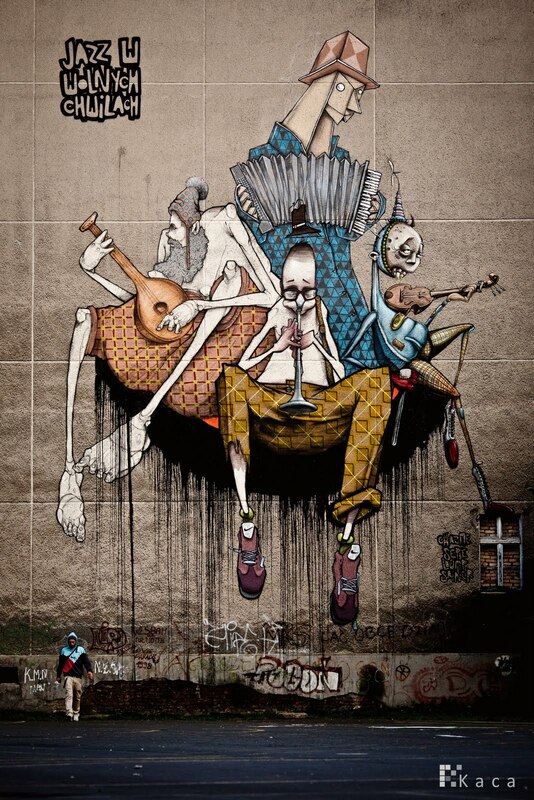 His street art is less like graffiti and more like using walls as large canvases for his paintings, which are also beautiful. I love his use of line, form and perspective distortion, space and color palette. Some of the posted works are done in collaboration with other artists, specifically Bezt on the mural works. For further information check out his blog pblejzyk.blogspot.com or on The Behance Network. This 7:57 short borders chaos with intricate pieces and a driving score but remains captivating in it's order and form. It's like a dreamscape of Eastern European folklore. 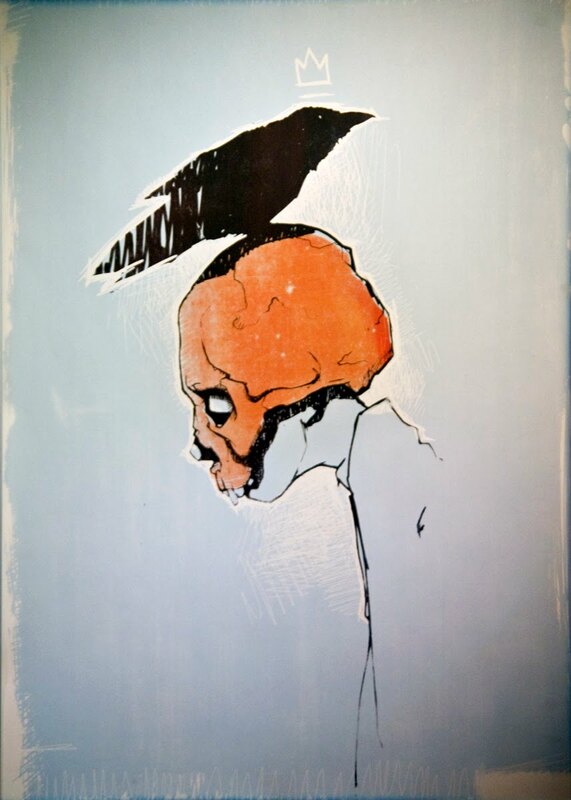 I don't know much about this piece except from what I found on We Find Wildness blog. According to WFW this short was done during Paganelli's artist in residency in Serbia and is on display at Kunsthalle Mulhouse until January 9, 2011. Kolo from Natacha Paganelli on Vimeo. A long time fan of illustration and film, especially the work of Michel Gondry, this book and DVD are very exciting for me. This book is a collaboration between illustrator Julie Doucet and and Michel Gondry. In 2008, Gondry asked Doucet to make a film together. The book is about that process and inserts Doucet and her drawings into one narrative and an 18 minute film. It is available for purchase on Picturebox and according to the CoolHunting.com post I saw this at originally Gondry will be signing copies in LA on November 11. It's almost worth a trip south to LA.